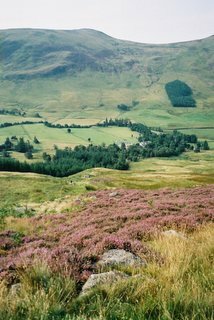 Glen Clova is one of the Angus Glens, in Eastern Scotland, providing a choice of easy and more strenuous walking routes close to the cities. It stretches up into the southern part of the Cairngorm massif from Strathmore, north of Dundee. This is great hiking country. The hilltops rise gradually to just over 3000 ft with Mayar (928m) and Dreish (947m) at the north-west corner overlooking Glendoll (see Glendoll walking story). 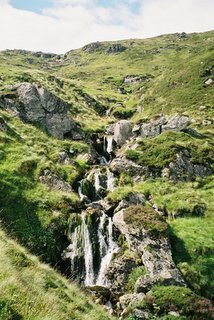 On the north-east side, they reach 896m with Ben Tirran and 876m at Boustie Ley (see Glenclova walking story). Although not quite the height of munros, these routes provide a real taste of the Scottish highlands without the sense of isolation. These mountains are all broad flattish tops, but the slopes looking down on either side of Glen Clova have had chunks bitten out of them by glaciers, leaving superb corries separated by rocky buttresses - or "truncated spurs". This really is wonderful country for spotting typical glaciated landforms, if you're into that sort of thing and your companions can put up with your commentary! I'd previously walked up these hills with my daughter Catriona, as a field excursion for her standard grade school geography project, looking for features of glaciation. 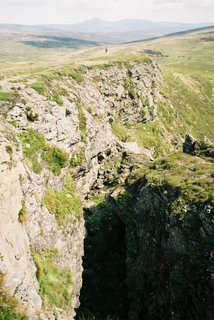 Two of the corries hold typical corrie lochs - Lochs Brandy and Wharral. On the floor of the u-shaped valley, the river meanders between morraine hillocks left by the ice. 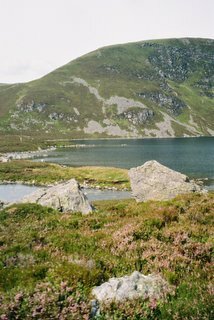 At the head of the Glen, Jock's Road is an old drover's road leading north-west over to Deeside, and the Capel Mounth track runs north over to Loch Muick below Lochnagar. The Kilbo Path climbs from Glen Doll over between Driesh and Mayar to neighbouring Glen Prosen. The upper part of Glen Clova now lies within the Cairngorms National Park - the largest in the UK. New easier walking routes are being promoted by a partnership of organisations supporting the National Park. Eight walks are described in a new leaflet, with accompanying maps. 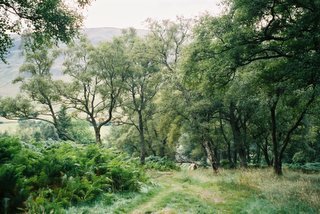 Glen Clova is pretty accessible - an hour's drive from Dundee and a couple of hours from the edge of Edinburgh, but is much better know as a daytrip location for locals than a tourist destination. 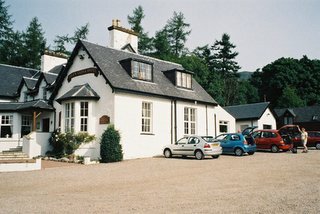 Consequently, the Clova Hotel provides a great resting place for those seeking some peace and relaxation, and easy hiking in the hills around. It has a bunkhouse for walkers as well as hotel rooms, and the beer's good! Just across the road is the Brandy Burn House B&B and tea shop. 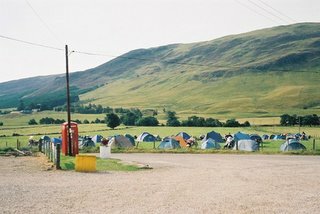 Some will know the Hotel as the start and finish point for the Glen Clova Half Marathon, which has been held in early November for many years now, taking in the series of rises and dips of the road on the western side of the valley, before the flatter road on the east which finishes with a series of wicked hills just before the finish! But that's another story. 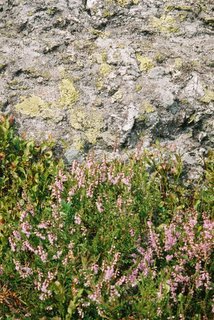 Details of attractions, accommodation and events in the Angus Glens can be found on the angus glens website.